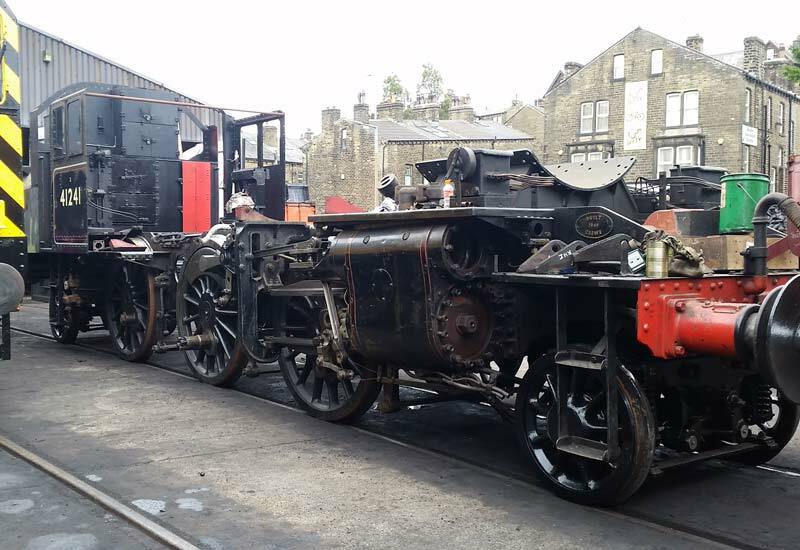 Callum Porter, a regular member of the Ivatt team, has sent in this report of the team’s activities over the last month or so. The rear pony truck was disassembled a few months ago and in the intervening time every component has been stripped, checked and painted. 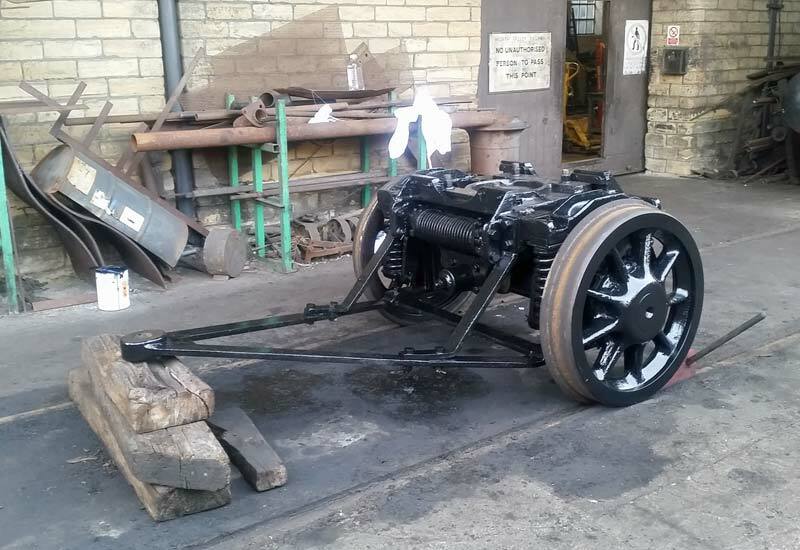 The truck was then re-assembled by the team, finished off, painted and stored ready for fitting. 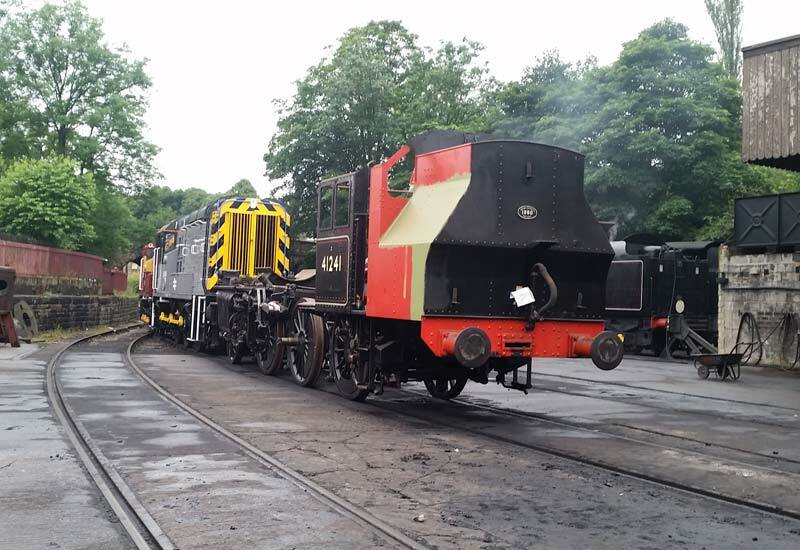 On the 16th July the locomotive was jacked up and the rear truck placed under and lowered back down so returning it to its rightful place. 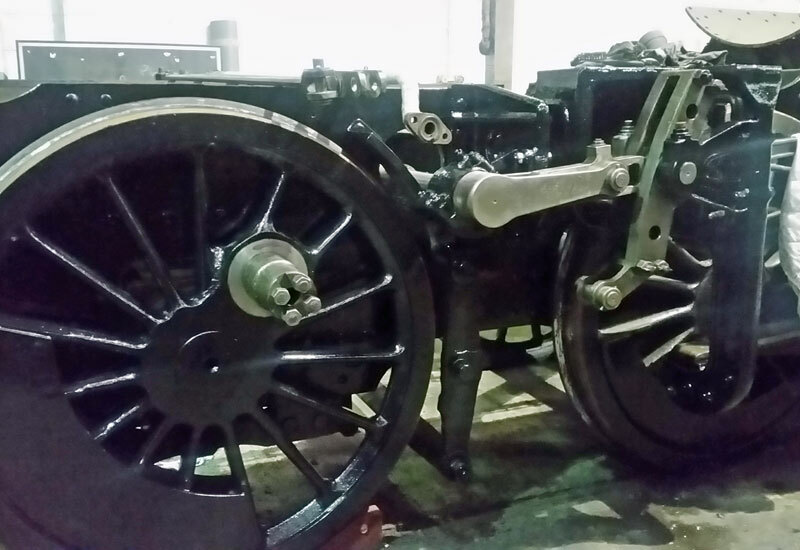 More recently work has turned towards cleaning up the bottom end of the loco (frames, wheels etc.) ready for painting. Once the bottom end painting is complete the tanks can be refitted which, hopefully will be end August / September. 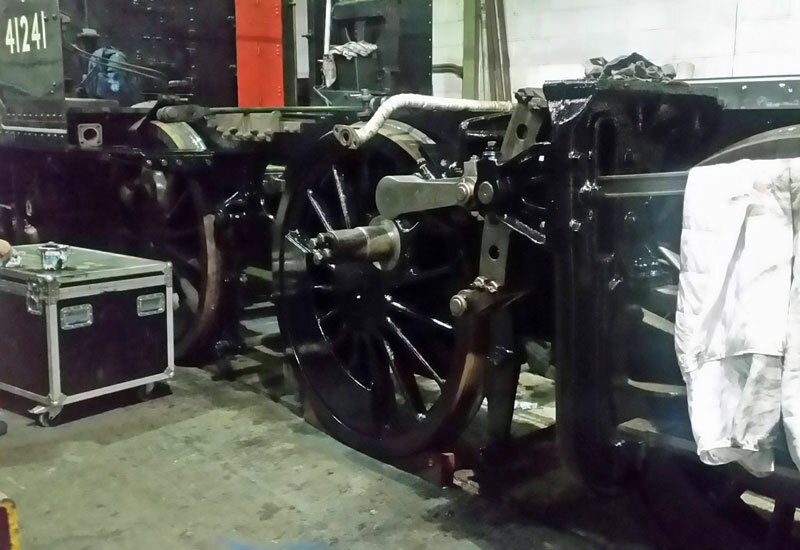 Behind the scenes all the new and old bushes for the motion have been re-white metalled and are awaiting machining them to finish size before they can be pressed into the rods and re fitted. 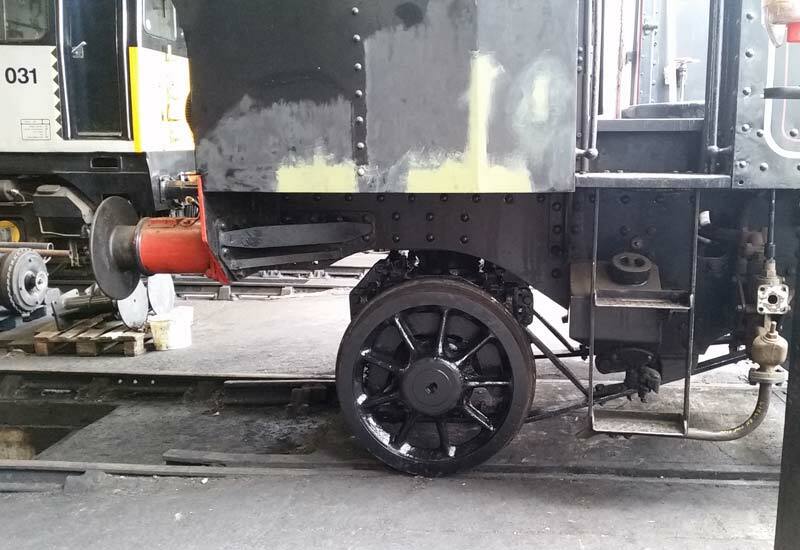 Once the side tanks will go back, there is some work on the cab to be completed, tanks painting and applying some finishing touches on them both. A start has been made on the new motion brasses so, with a fair wind, the motion will be back together before November. The result of all this work, it is hoped, is that by the end of Autumn, 41241 will have the side tanks on, motion re-assembled and in red undercoat. June 2018 gets ever closer. The Ivatt Restoration Appeal is still open for sponsorship packages and Ivatt merchandise, that supports the Appeal, is available from our ‘pop-up’ stalls on the Railway and by telephone to Haworth Station, 01535 645214. And don’t forget the annual Beer & Music Festival is this year dedicated to the Ivatt Appeal with all profits adding to the Appeal fund.